An assignment letter is a document that is used mostly in situations such as business bankruptcy and insolvency. It is a legal document which can be presented in courts when handling different cases. Examples of scenarios whereby this paper comes in are when a business owner is assigning a portion of his or her assets to a trustee for selling purposes and also when assigning specific rights to another person such as collecting payment on your behalf. Our assignment templates get designed in the best way possible to usher you properly when creating one. 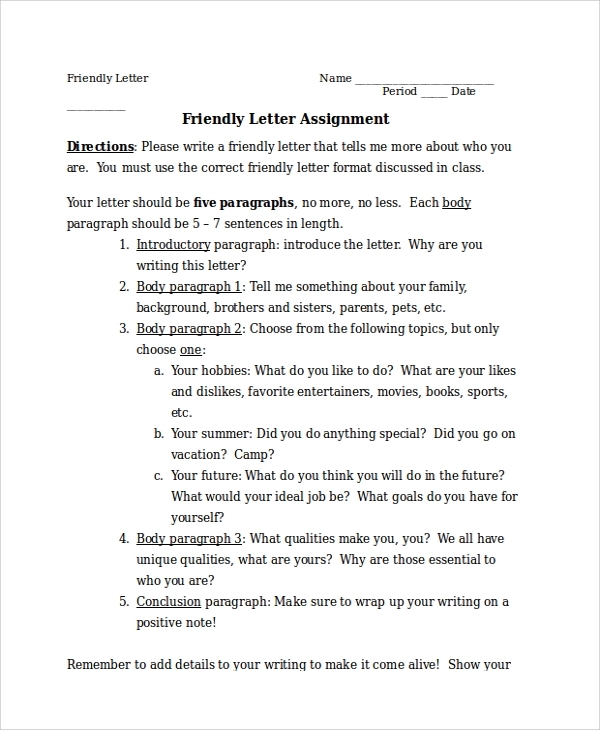 An assignment letter template may also be said to be a Professional Letter of assignment or an assignment letter sample. The top of the page should have the name of the person or the entity issuing the letter together with their personal information such as the telephone number, email address, and the postal address. 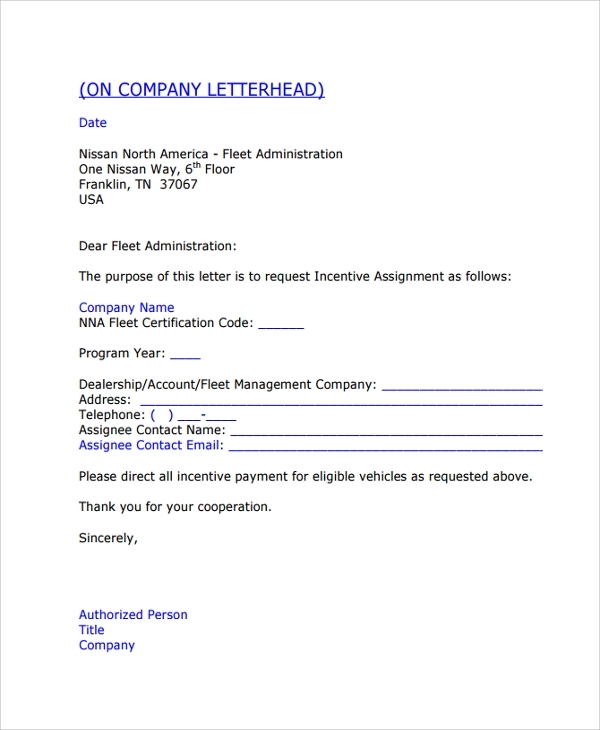 Below that it should indicate that it is a letter of assignment to give the form an identity. Next should be the full names of the people or entity in the agreement alongside their personal information. After that, mention the duration of the assignment and the location of where the deal takes place. The body of the document should be concluded by listing all the details of the money that they parties will be handling. Finally, the parties involved should sign the paper to seal the agreement. 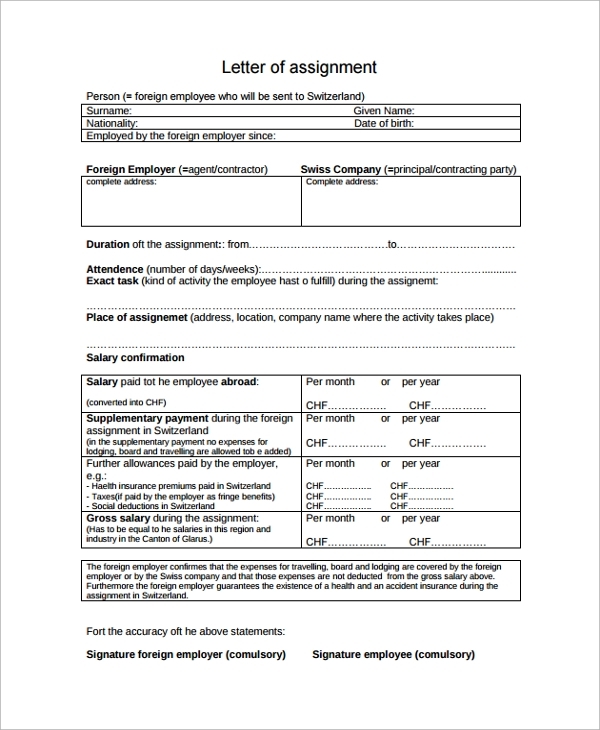 The top of the form should read that the document is an appraisal assignment letter for easier identification. The name plus the postal address of the person or company issuing the appraisals should be listed next. After that, a declaration statement mentioning the names of the parties involved in the agreement should be put down saying who has assigned rights to the other. The agreement should always comply with the standards set by law. Other acknowledgments that each party is supposed to heed to should also get listed in this document. The model should conclude by stating the period when the agreement will be active. 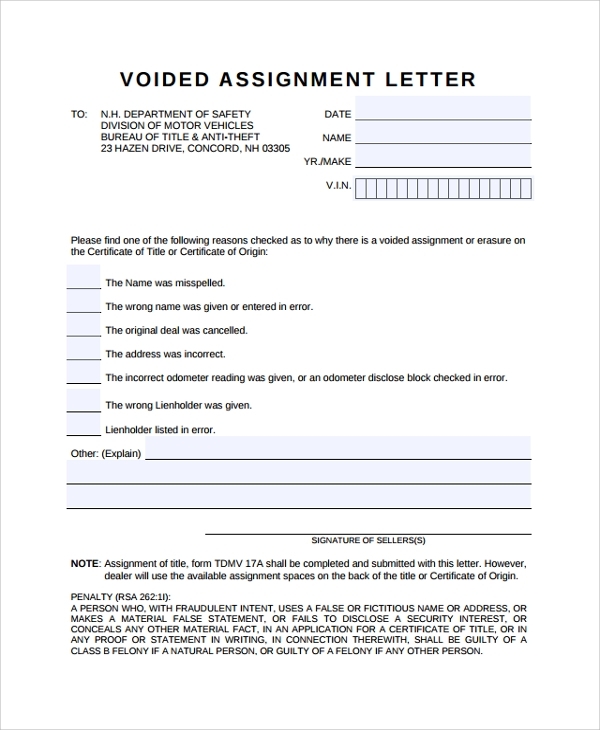 The top of the model should read that it is a voided assignment letter for quick identification of the form. After that, on the left, the name of the person of corporate who is going to receive the document is listed together with other personal information such as a postal address and an email address. The right should have the date of when the paper gets published. 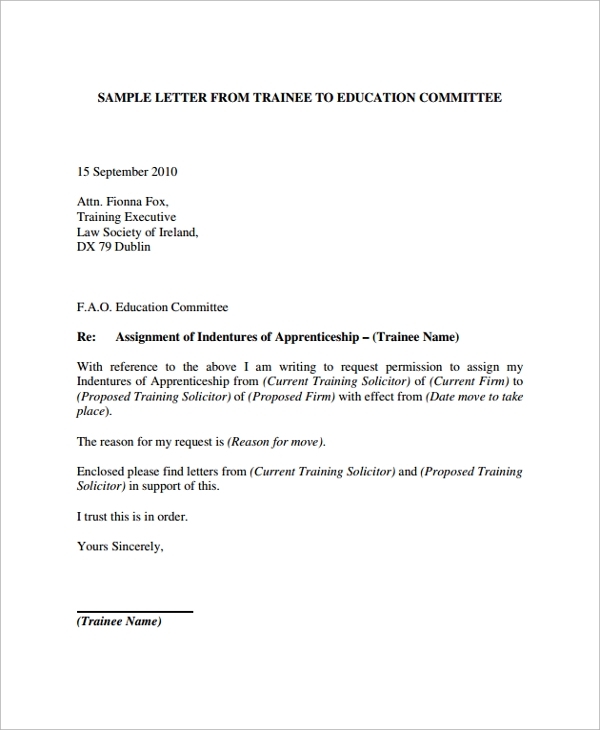 Finally, the reasons as to why there is a voided assignment letter must be on it and signatures of the parties involved should also be given to show that they agree with the stated reasons. 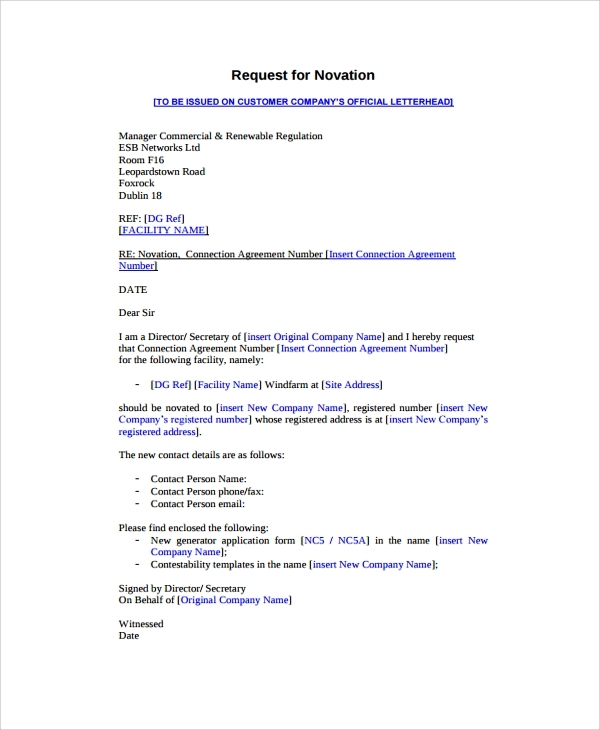 The name of the company issuing the letter should be the first thing on the document and the date below that. Next should be the name and personal details of the person or entity meant to receive it. The incentive assignment should be listed giving all crucial information about it and contacts which the receiver can contact for further negotiations. Finally, it concludes with a short formal message to the receiver. 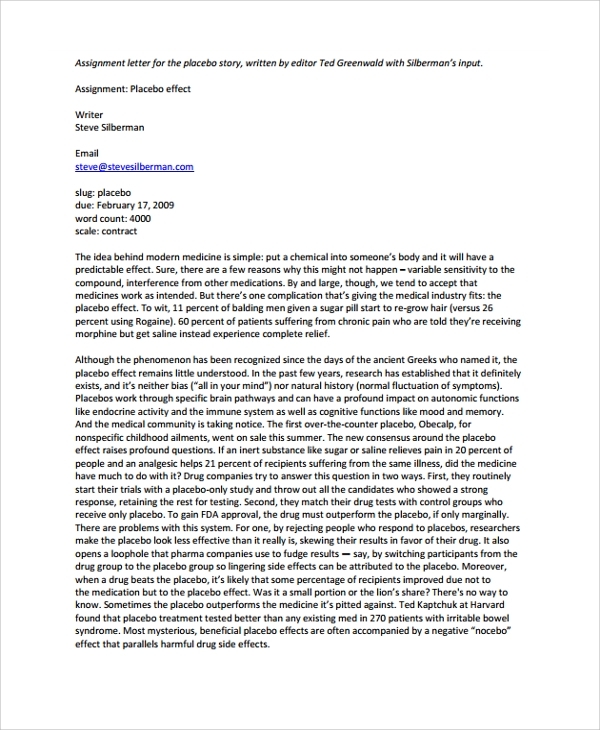 What are the Advantages of Having our Assignment Letter Templates? 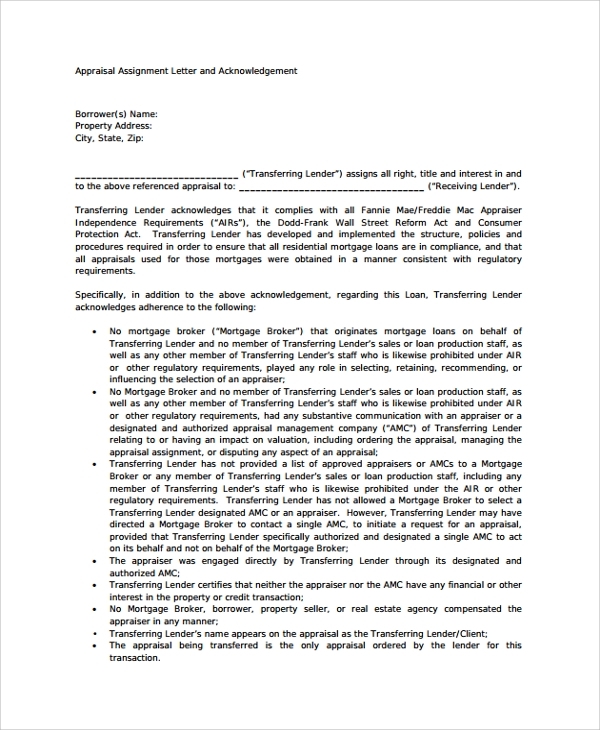 One may lack sufficient knowledge on what to include when forming this document; therefore, the main benefit of having our template is that it gives you the proper guidance on which information to include in your paper and an order of how to put it down. 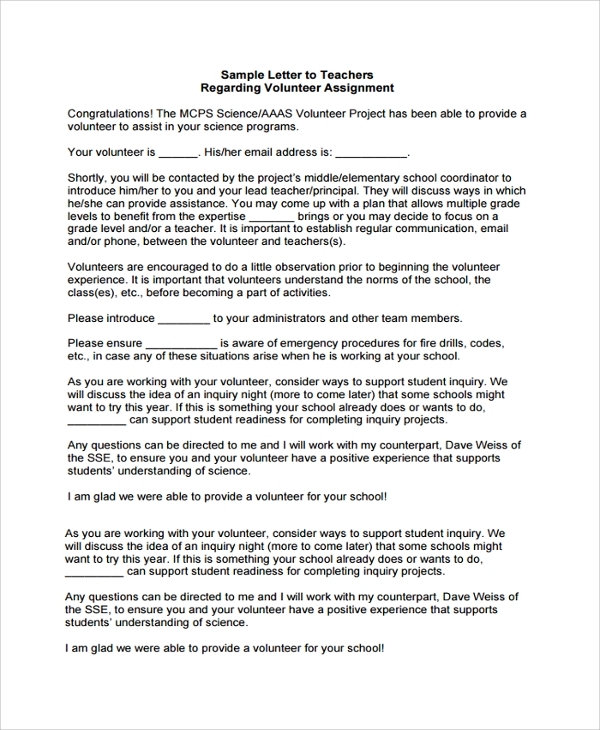 How Have We Made our Assignment Letter Templates the Best for you? Which are the Most Crucial Aspects that I Should Entail in my Assignment Letter? Always list the name of parties in the agreement and also sufficient personal information about them. Never forget to indicate the date you publish the model and the period of how long the contract will be valid. Ensure that both parties agree on what gets stated on the Professional Letters then seal the deal with signatures of each. Finally, since it is a legal document, always ensure that your agreement complies with the provisions of the law to avoid awful penalties. We ensure that we meet the requirements of all our customers according to their needs. Those that would want a fully customed model can always communicate to us so that we can direct you to our experts to help them understand what kind of make you want. We have customer care agents that are always available to tend to all the inquiries you may have and the consultations you may need. 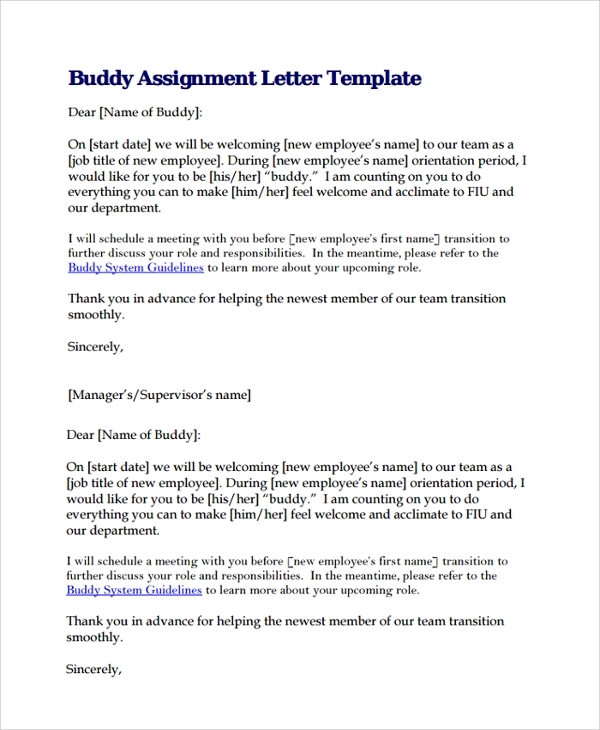 Consider acquiring our accessible and affordable assignment letter template today, to guide you while creating the document you need.